Experience the very best of winter in Finnish Lapland with a stay at the new Apukka Resort on the outskirts of Rovaniemi. Ideally located just minutes from the Arctic Circle and Santa's Village, you'll have the chance to explore the snow-laden surrounds on optional activities that range from snowshoeing and reindeer sleigh rides to ice carving and saunas on skis. 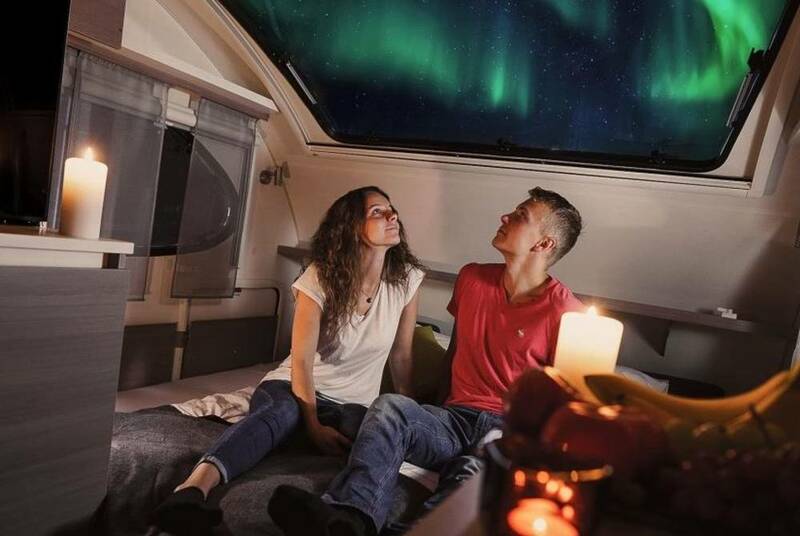 And, following a two-night stay in a glass-roofed aurora dome, you'll head deep into the wilds for an unforgettable all-night adventure in one of the resort's aurora wagons, bringing you in style to some of the region's best Northern Lights viewing spots. 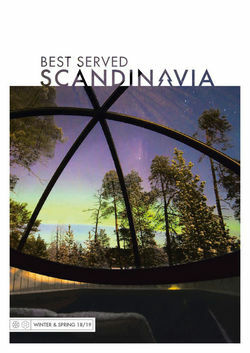 Departing the UK, you’ll board a flight to Rovaniemi in the heart of Finnish Lapland. 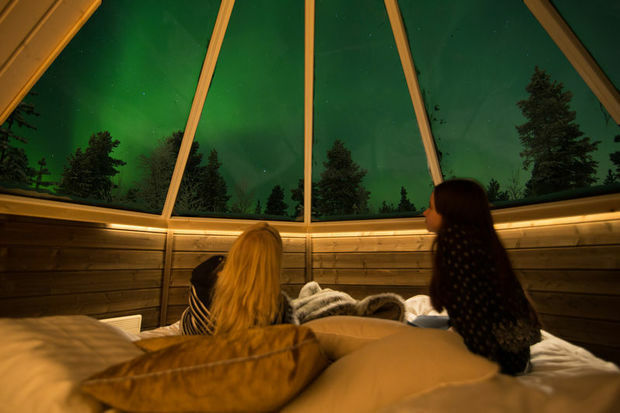 On arrival, an included transfer will whisk you to your accommodation, the wonderful Appuka Aurora Borealis Resort, tucked away in the wilderness on the edge of the Arctic Circle. 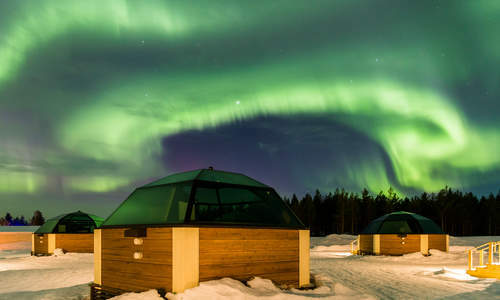 This new addition to Finland’s burgeoning array of innovative hotel options comes complete with everything from ice cabins to aurora domes, where you’ll spend your first two nights. 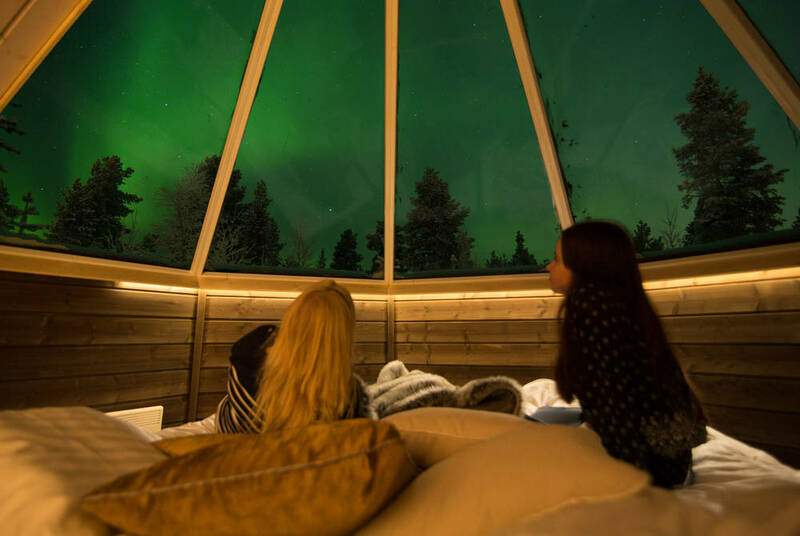 These glass-domed rooms, fully heated and en suite, make the most of the location, fully showcasing the Northern Lights’ dancing displays. After a hearty breakfast, your first full day is left free for optional excursions. 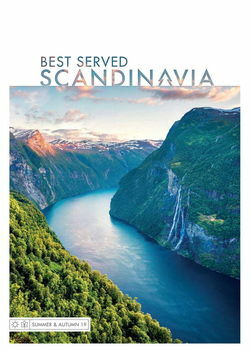 And, this being Finland, there’s much to choose from with snowshoeing and reindeer farm visits heading up a menu that also includes ice carving and even a sauna on skis. What’s more, Santa’s Village is only 10 minutes away for the ultimate festive treat, while for those seeking more snowbound adventure can book onto a guided husky or snowmobile safari. 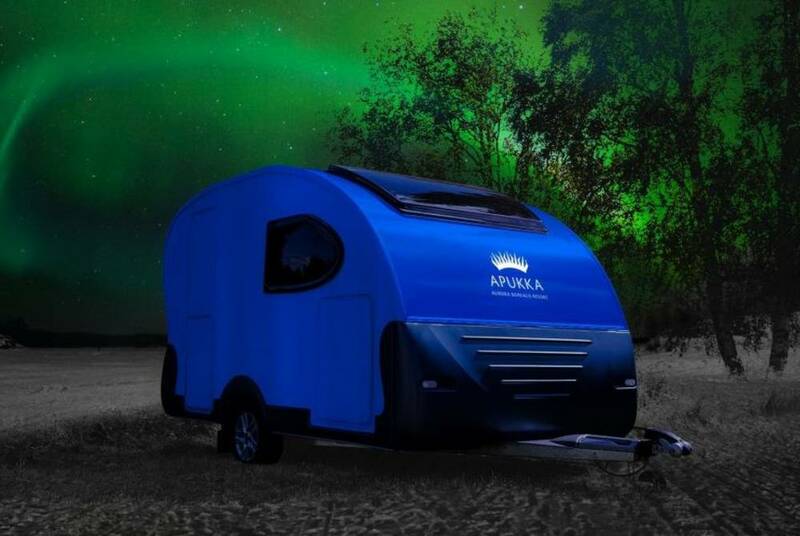 After breakfast and another day of optional excursions, it’s time to head out into the wilds in one of Apukka’s aurora wagons. Travelling through the Arctic night, you’ll arrive at a remote location far from any light pollution for a truly memorable wilderness adventure. 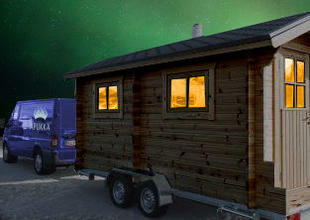 Each wagon is fully heated and comes with a double bed, sleeping bags, a small kitchenette and an en suite toilet. 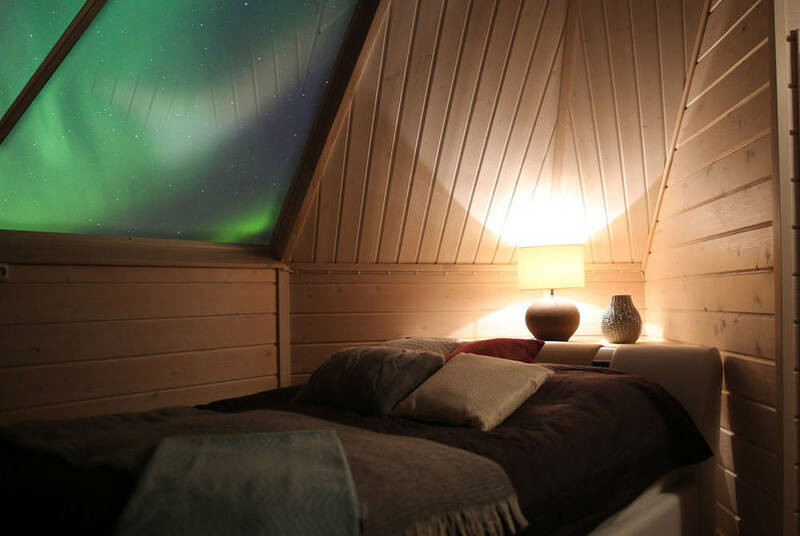 There’s even a handy window in the roof so you can relax in fully cosseted luxury as you wait for the aurora to appear. And, you’ll be kitted out with warm winter clothing too, so you can step outside to snap those all-important Northern Lights photos. Hot drinks and snacks are also included. After a final breakfast, you’ll return to the resort for your airport transfer, flying home from Rovaniemi later that day. It's one of Scandinavia's must-do experiences, a night on a bed of ice surrounded by intricately carved works of art in a room no warmer than -5ºC. Here we answer four burning questions about holidays in Scandinavia's ice hotels.